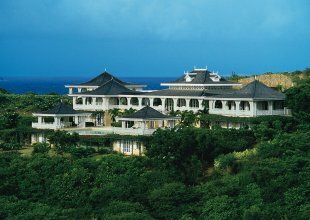 Ocean Breeze is a truly enchanting plantation-style residence located in a commanding hilltop position in the south of Mustique. 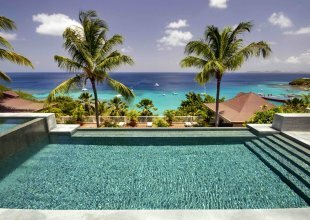 Designed by the island's leading architect, Arne Hasselquist, it combines colonial elegance with Caribbean serenity. Nothing clutters the panoramic views of the island's tropical fauna with Pasture Bay, the ocean and neighbouring islands beyond. Inside it is beautifully interior designed and is understated yet sophisticated in style with light, cool colours on the walls and soft furnishings and with crisp, white bed linens in the bedrooms. Outside, there are inviting open areas, a perfect reflection of island lifestyle, ideal for families or couples sharing. Guests will love the enormous infinity pool with spectacular views beyond. The formal living and dining rooms are located within the main residence and are perfect for social gatherings, with doors that open out to allow the cooling breezes through as do the airy bedroom cottages. Menus and special dietary requirements and requests can be discussed prior to your arrival. Alternatively, wait until you are on-island to discuss your food preferences with the chef or butler or where you might like to dine - perhaps have a BBQ on one of 9 spectacular beaches, or choose a candlelit setting within the romantic gardens of Ocean Breeze. Beautifully manicured gardens and lily ponds lead to the dramatic octagonal foyer. From here, guests pass through a spacious, central courtyard garden that leads to the infinity pool and pool deck, furnished with luxurious loungers and a beautiful outdoor dining gazebo - perfect for breakfasts and al fresco lunches. Tropical gardens surround the guest cottages as well as main house. 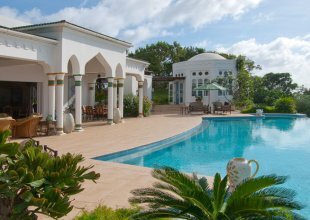 Ocean Breeze has spectacular, panoramic views across the island, stretching from the west with the Caribbean Sea and the neighbouring, picturesque Grenadine Islands to the east and beautiful Pasture Bay on the Atlantic side.